Patrick Sweeney, Owner, and President of Infinity Design Group was introduced to the landscape field via working for a retail/wholesale nursery during his time at the University of Rhode Island while earning his Bachelor of Landscape Architecture Degree. Patrick has over twenty years of experience educating himself about and utilizing plant material in design work and construction projects. He’s not only a registered Landscape Architect but also a Certified Horticulturist. Additionally, he has training in managing invasive plant species in our region. Patrick brings innovation and passion to each project, yielding a landscape that is both functional and beautiful. Architecture is more than garden and planting design. As Landscape Architects, we have extensive knowledge of plants and are skilled at working with all types of plant material. The garden design is only one piece of our comprehensive plan to integrate art and nature into your landscape seamlessly. Landscape Architects also harbor a sincere appreciation for nature. We understand that plants are a vital part of our world. When designing outdoor spaces, Landscape Architects utilize and specify plant material to frame, reinforce, and divide space. We value all that plant life brings to each landscape and select plant material that will enhance the site’s existing attributes. Garden and planting designs can reinforce a design theme and provide “sense of place” to a site through repetition and composition; they can evoke different emotions and awaken the senses by their rigidity or looseness, location, arrangement, texture, aromas, and colors. 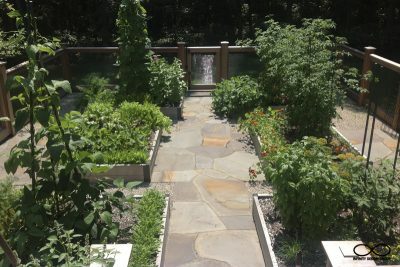 Garden and planting designs can also heal and sooth by providing relief from a symptom(s), stress reduction, and improvement in overall sense of well-being and hopefulness. Our goal is to meet the individual needs of each client and landscape. We leave each property a better version of itself. Enhancing the natural attributes and adding features to create a sanctuary in your yard. At Infinity Design Group, we employ a collaborative and educational process with our clients when it comes to our planting and garden designs. 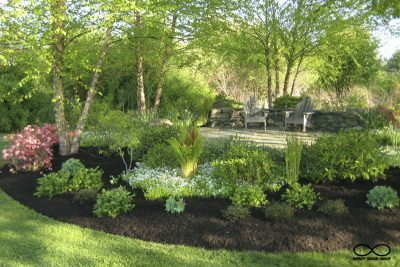 We encourage our clients to take an active role in all parts of the design process, especially when it comes to planting selection. We can’t wait to share our wisdom and love of plants with you! Our team is ready to make your vision a reality!